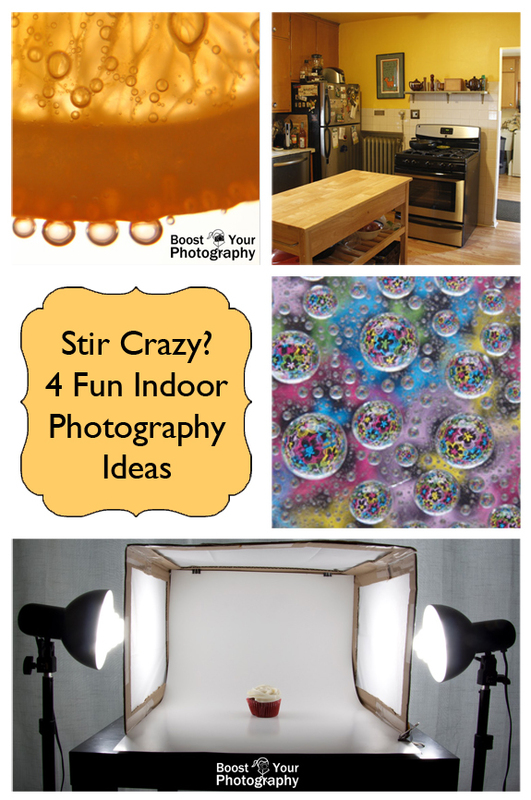 Need something new in your photography? Try these creative ideas From the Archives - all of which you can do in the warmth and comfort of the indoors! With a very basic setup, you can easily create these bright fun shots of bubbles on fruit. 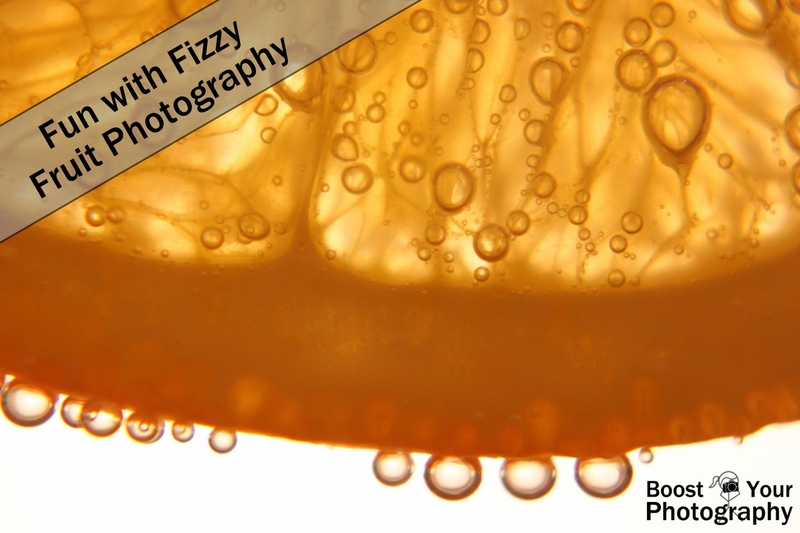 All the details are in the article on Fun with Fizzy Fruit Photography. 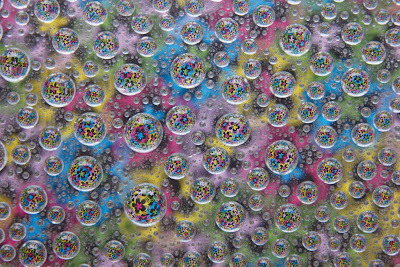 Another fun idea with water is to create a repeated refraction effect. 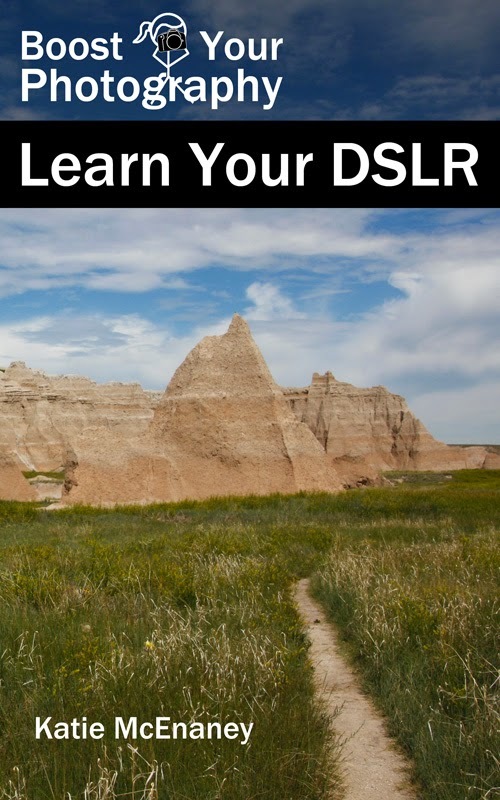 This super-easy technique creates amazing and mystifying photographs. All you need is a piece of glass or plastic, some water, and some colored paper ... Make the Shot: droplet refraction. Take your indoor photography up another level by building your own light tent. Light tents are incredibly useful for all kinds of photography, especially if you are trying to feature small items or sell products on your blog. You probably have all the supplies you need lying around! 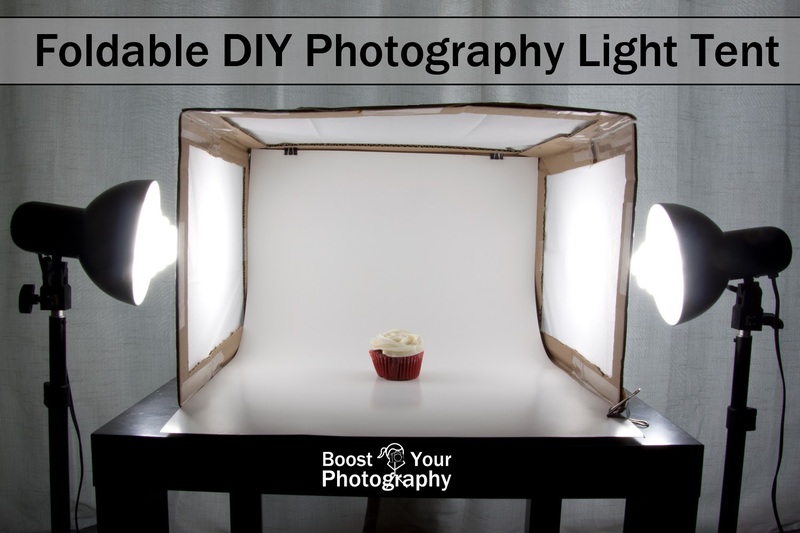 Read on to create your own Foldable DIY Photography Light Tent. 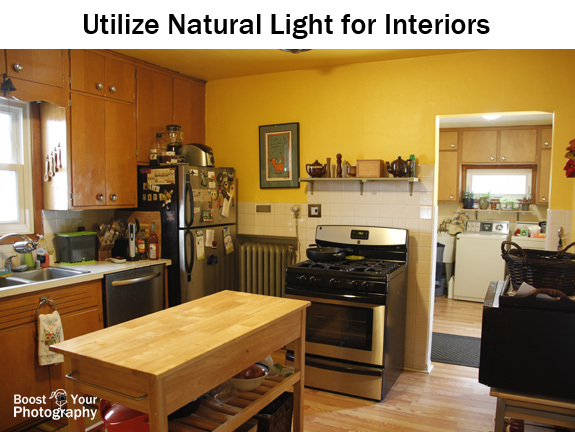 Finally, make the most of your time indoors by learning how to photograph interior locations better. 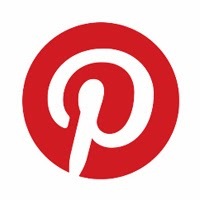 All the details are in this article on Photographing Interiors.